Kyle Busch is selling these “Everything is Great” Shirts for Charity. The price $22 of course. Two weeks ago at Las Vegas, Kyle Busch and Joey Logano (Car #22) had their issues. The two Monster Energy NASCAR Cup Series driver got into a fight fist fight/ wrestling match post race. An on-track battle for a top 5 finish sent Kyle Busch sliding down pit road and across the finish line. The sent Kyle Busch in search of Joey Logano, on foot. When he found him, punches and (perhaps a few kicks) were thrown. When Kyle Busch returned to the race track at Phoenix International Raceway, he was naturally surrounded by reporters. The questions varied, the answers did not. Watch the video of that interview below. Kyle Busch was stuck on a loop. No matter the question that was thrown at him, he offered that same response. Or a shorter version of that same response. Now, we have a tagline. The Marketing team at Kyle Busch Motorsports have made the most of it. T-Shirts have just gone up for sale. Priced at $22. Certainly a deliberate reference to Joey Logano’s car number. The proceeds will be sent to the Kyle Busch Foundation. The “Everything is Great” shirts come in two shapes. A men’s sized T-Shirt and a Women’s T Shirt. 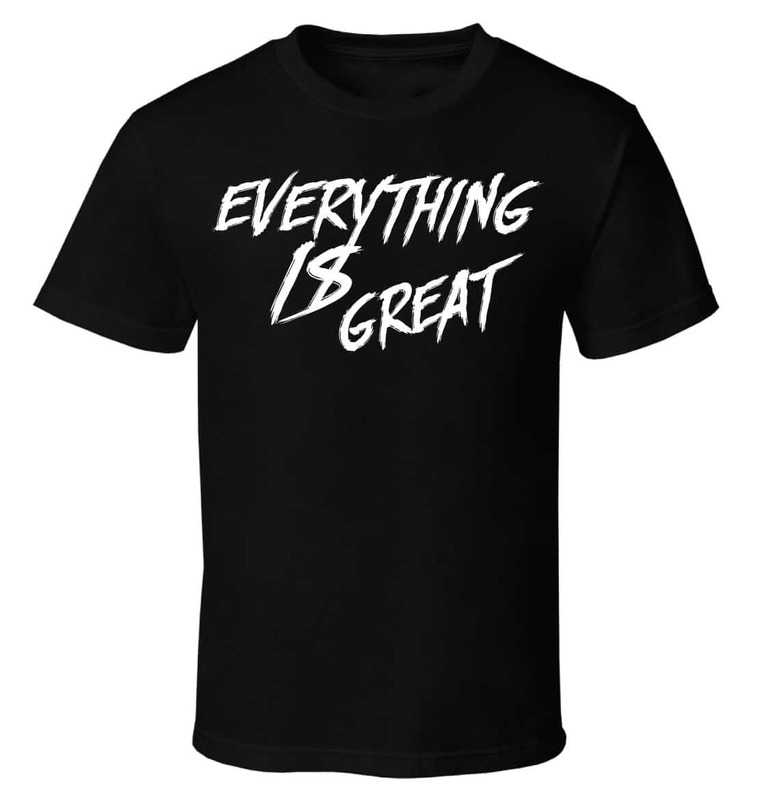 Click here to view the Everything is Great T Shirt. Or click here to view the alternative, women’s version.